Throughout his lengthy career, guitar wildman Ted Nugent has revelled in the controversy and criticism that always seems to follow in his path. 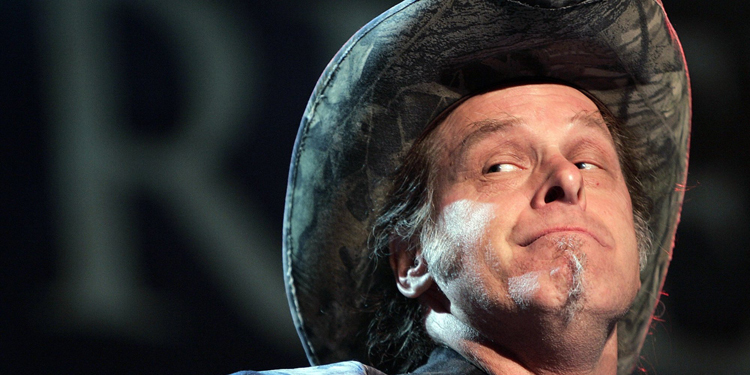 While there’s no denying his exceptional talent on the six-string, his knack for penning arena rock anthems, or his standing as one of rock’s top live acts, it’s his non-musical endeavors that have caused the most condemnation from his detractors (his pro-right wing beliefs, pro-gun advocacy, appreciation of hunting animals, etc.). 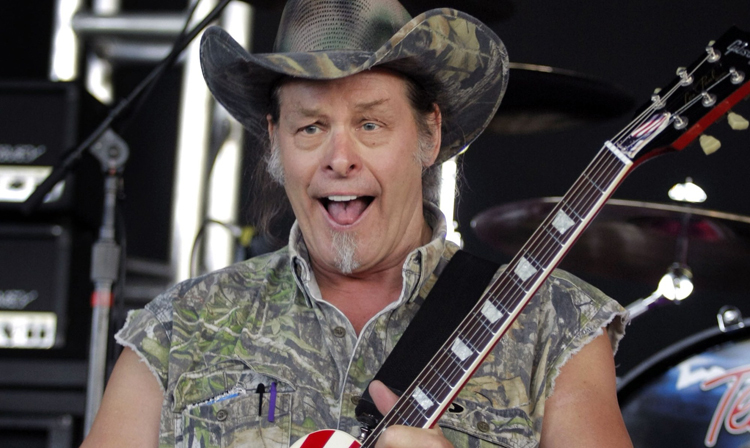 But by the same token, Nugent is a family man and one of the few hard rockers who has admirably stuck by his lifelong anti-drugs and -drink stance throughout his career. 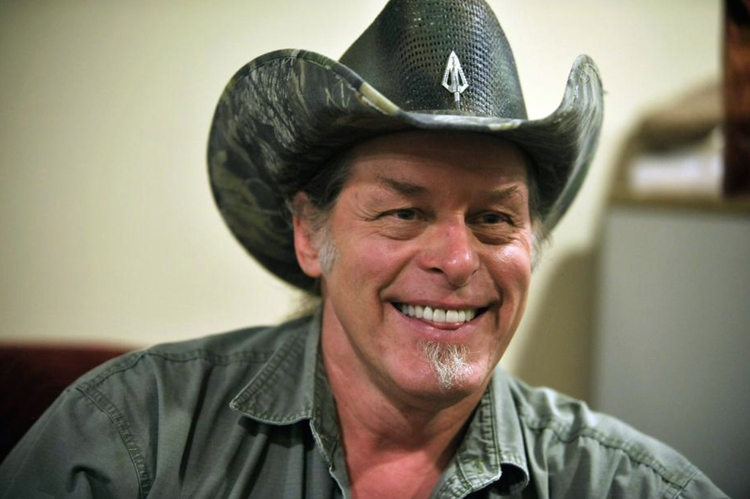 Born on December 13, 1948, in Detroit, MI, Nugent became interested in rock & roll early in the game, picking up the guitar as a youngster, while his disciplinarian father passed his beliefs down to Nugent. 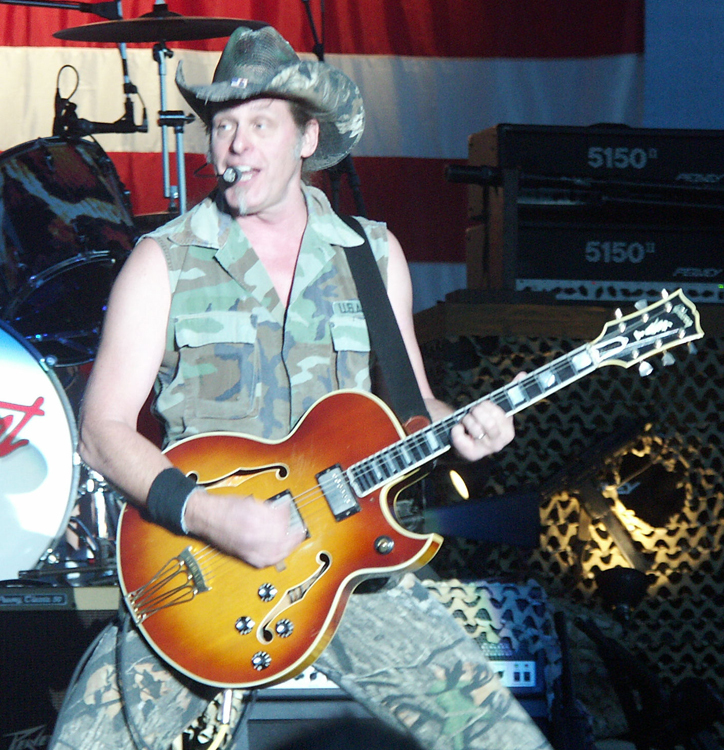 In the ’60s, Nugent formed his first bands (including Royal High Boys and Lourdes), drawing inspiration from such British blues-rockers as the Rolling Stones and the Yardbirds. But it wasn’t until the formation of the Amboy Dukes that the Nuge got his first taste of stardom (it was also around this time that Nugent began playing a Gibson Byrdland guitar, a model which would be instantly associated with him throughout his career). The other members of the group didn’t exactly share Nugent’s clean-living lifestyle, as proven by their psychedelic hit single “Journey to the Center of the Mind,” which Nugent claimed he didn’t know at the time was about being “under the influence.” The band managed to issue several albums throughout the late ’60s — 1967′s self-titled debut, 1968′s Journey to the Center of the Mind, and 1969′s Migration — as the group fit in well with such other high-energy rock bands to emerge from the Motor City: MC5 and the Stooges in particular. 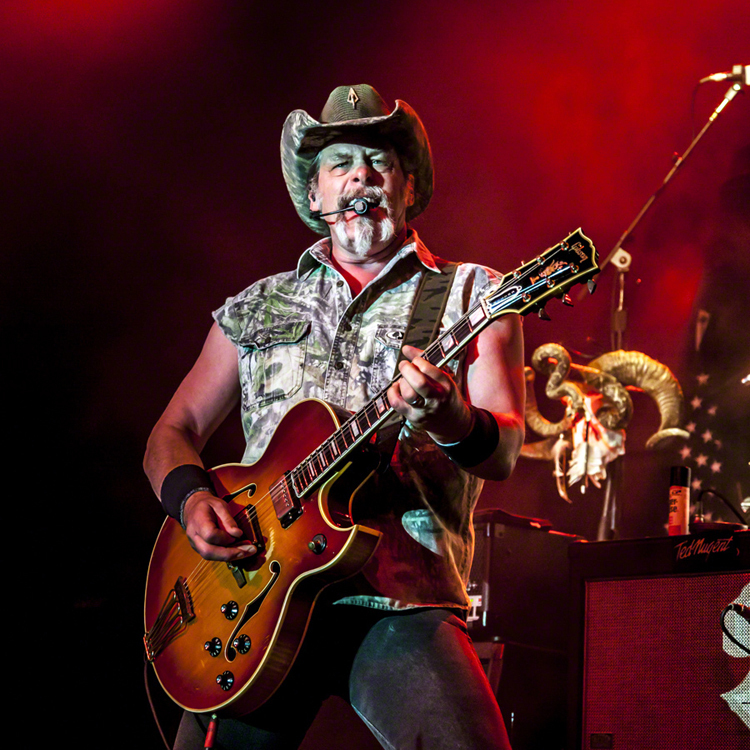 With band members coming and going at an alarming rate, Nugent remained the only constant member — eventually officially changing the band’s name to Ted Nugent & the Amboy Dukes by the ’70s, and issuing 1971′s Survival of the Fittest, 1973′s Call of the Wild, and 1974′s Tooth, Fang & Claw. While none of these releases exactly stormed the charts, Nugent and his cohorts remained an in-demand concert draw, as he also set up “guitar duels” on-stage around this time (battling with MC5′s Wayne Kramer and Mahogany Rush’s Frank Marino, among others). By the mid-’70s, Nugent decided to finally ditch the Amboy Dukes name and set out on his own, assembling a first-rate backing band that included second guitarist/vocalist Derek St. Holmes, bassist Rob Grange, and drummer Cliff Davies. By 1975, the new band was signed to Aerosmith’s management company (Leber & Krebs), as well as the same record company, Columbia, resulting in the release of Nugent’s self-titled debut in November of the same year. The band immediately struck a chord with the heavy metal/hard rock crowd from coast to coast, due to the band’s over-the-top stage show. 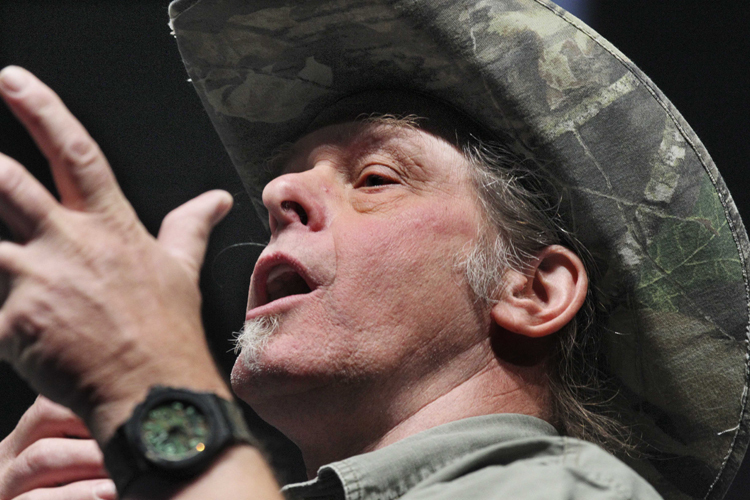 But the band members’ relationship with Nugent was rocky at best — Nugent wanted complete control of the band, while the others wanted it to be more of a democracy. 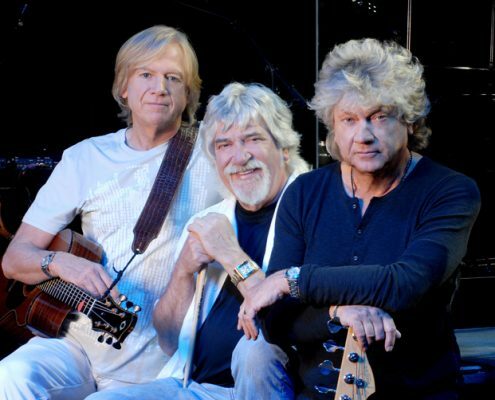 The end result was St. Holmes leaving the band prior to the sessions of their sophomore effort, 1976′s Free-for-All (which saw a then-unknown singer by the name of Meat Loaf filling in for the departed singer). 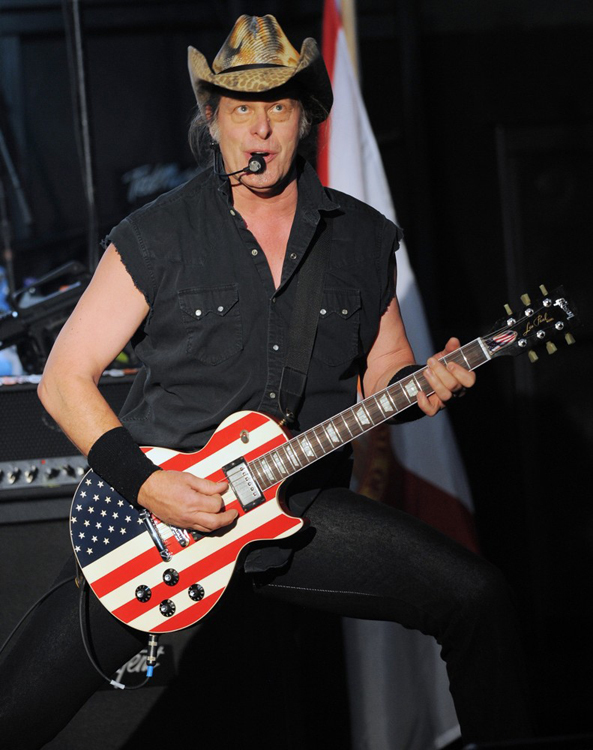 St. Holmes returned, however, in time for the album’s ensuing tour, and by the release of 1977′s Cat Scratch Fever (which spawned the hit single title track), Nugent and his band was one of the top rock bands in the U.S. — storming the charts and selling out arenas coast to coast. By now, Nugent had assumed the stage persona of a caveman — hitting the stage dressed in nothing but a skimpy loincloth and knee-high boots, and would often begin his show by swinging out on a rope à la Tarzan (!). Like other rock acts of the ’70s (Kiss, Cheap Trick, Peter Frampton, etc. ), Nugent used a live album to catapult his career to the next level of stardom — 1978′s classic Double Live Gonzo! 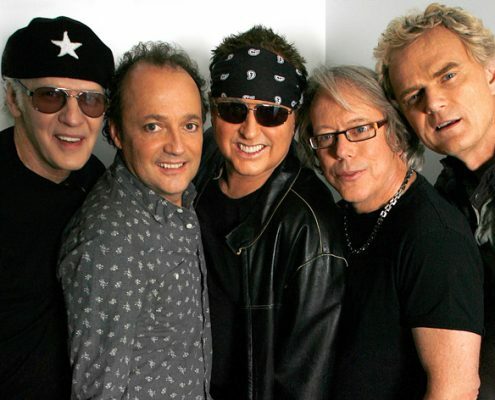 But despite all the success, the members of his band began deserting him one by one over the course of such albums as 1978′s Weekend Warriors, 1979′s State of Shock, and 1980′s Scream Dream. To add insult to injury, Nugent found himself bankrupt around this time, due to several failed business ventures and poor management. Nugent continued to tour and crank out albums throughout the ’80s (including such forgettable releases as Intensities in 10 Cities, Nugent, Penetrator, Little Miss Dangerous, and If You Can’t Lick ‘Em…Lick ‘Em), but it appeared as through the Nuge was trying to keep pace with the burgeoning pop-metal crowd instead of sticking to the raw and raging rock that brought him success in the first place. Nugent also tried his hand at acting around this time, appearing as a drug dealer in an episode of the hit TV series Miami Vice in 1986. 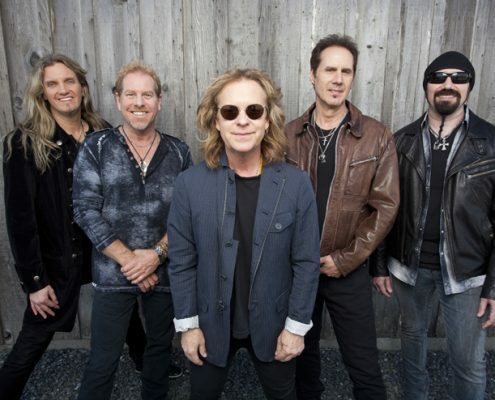 By the end of the decade, Nugent joined the rock supergroup Damn Yankees (joining former Night Ranger bassist/singer Jack Blades, former Styx guitarist/singer Tommy Shaw, and drummer Michael Cartellone) — resulting in the quartet’s self-titled debut in 1990, which became a surprise hit due to their Top Ten power ballad, “High Enough.” But ultimately, the union proved to be short-lived; after only one more album (1992′s lackluster Don’t Tread), the band called it quits. 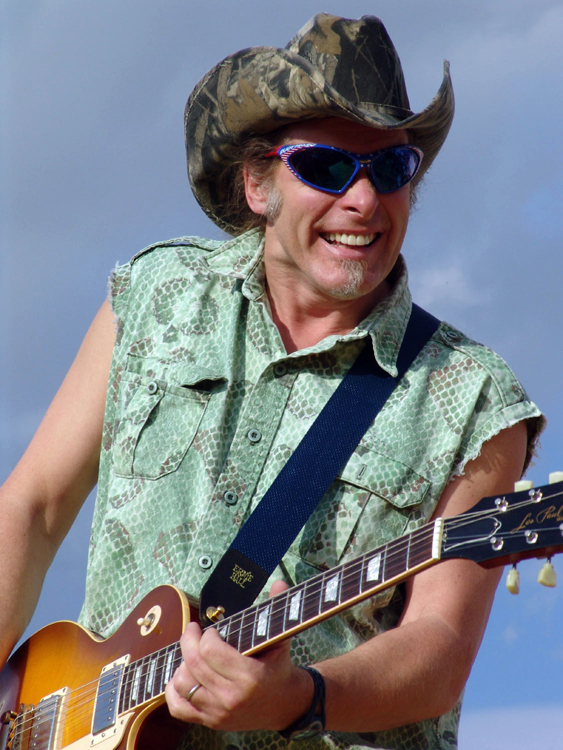 Nugent returned to his solo career, issuing his best album in over a decade, 1995′s back-to-basics Spirit of the Wild, while several archival releases turned up throughout the ’90s: 1993′s three-disc box set Out of Control, 1997′s Live at Hammersmith ’79, as well as his first three albums reissued with added tracks and newly remastered sound in 1999 by the Epic/Legacy label (also issued at the same time was the first truly comprehensive compilation of the Amboy Dukes, the 18-track Loaded for Bear). The Nuge was also the subject of an interesting VH1 Behind the Music episode. 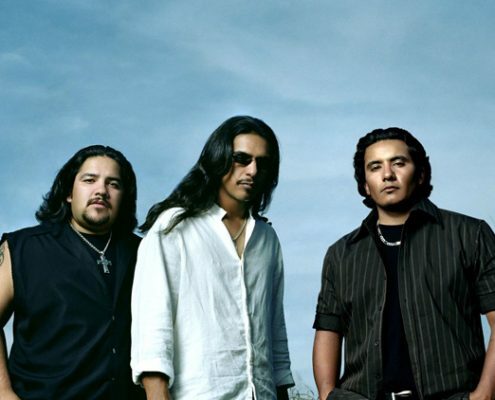 He continued to tour well into the 21st century (landing the opening slot on Kiss’ Farewell U.S. Tour in 2000), and issued the third live collection of his career, Full Bluntal Nugity, in 2001. 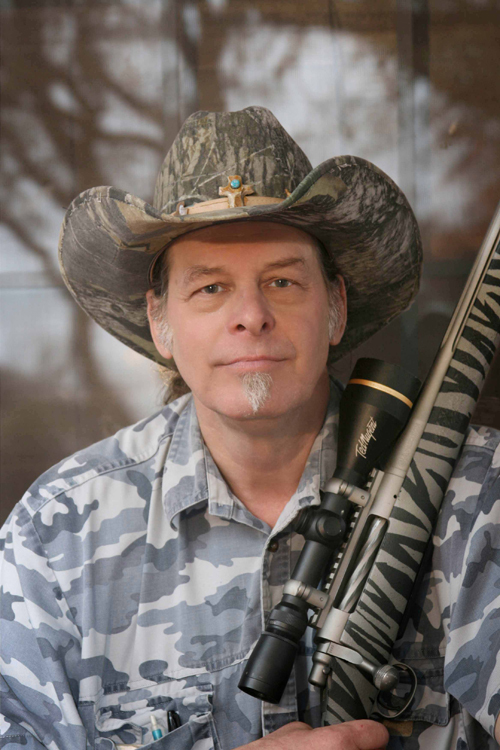 In addition to music, Nugent has gotten involved in politics, hosting a number one morning radio show in Detroit, has issued his own hunting camp and issues instructional videotapes (as well as the Ted Nugent Spirit of the Wild PBS video series), owns his own hunting supply store, has been appointed to the Board of Directors of the National Rifle Association, writes columns regularly for a number of different magazines, and even sells his very own beef jerky (called Gonzo Meat Biltong)! In 2001, the Nuge penned his own autobiography, the perfectly titled God, Guns, & Rock n’ Roll.